The Department of Education (DepEd) will be hiring 75,242 new teachers for kindergarten up to senior high school this coming school year and the budget is already approved by the DBM allocating 553. 31 billion. 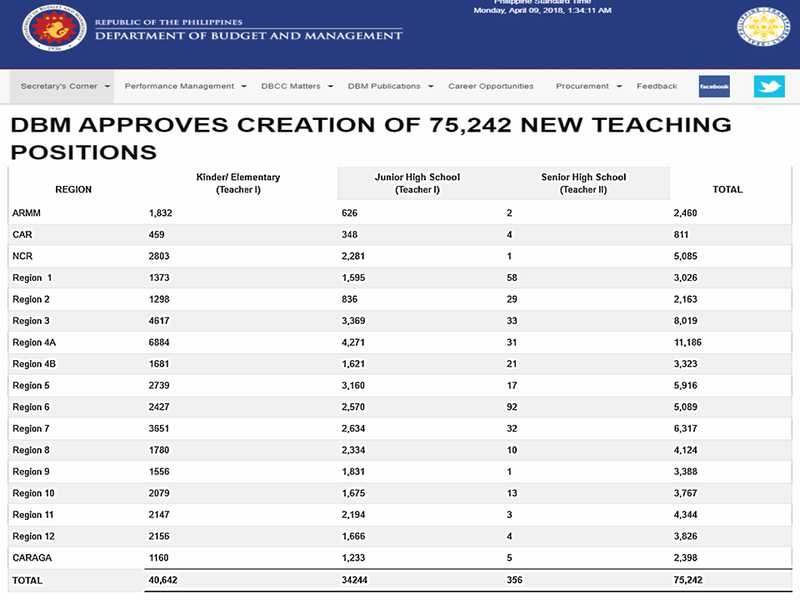 The Department of Budget and Management (DBM) already approved the funds for the purpose of increasing the number of public school enrollees and to reduce the class size or the number of classroom/pupil ratio. "We would want to erase the usual notion that in a class, there are 50, 60 or 70 kids under a single teacher," said Education Secretary Leonor Briones.According to DepEd 40,642 teachers are needed for kindergarten and elementary, 34,244 for junior high school, and 356 for senior high school. 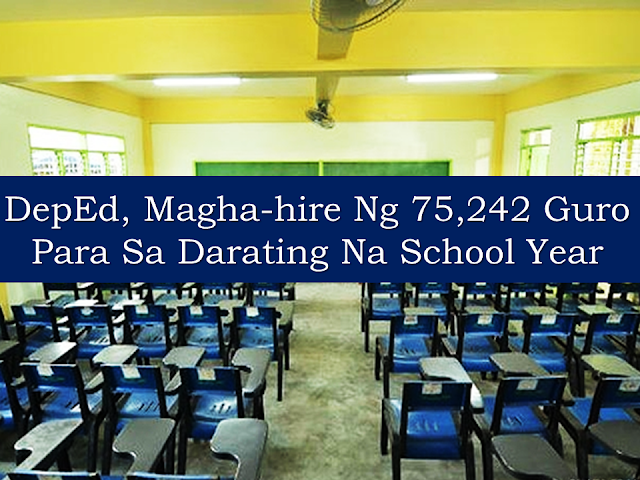 The salary and benefits of the new teachers are expected to reach P23,000. Alliance of Concerned Teachers lauds the initiative but they said that DepEd should also consider salary increase for teachers and hiring of non-teaching personnel. "Our clamor is to [raise] the entry-levelsaid [to] P30,000," ani Cristina Manalo,President of Philippine Public School Teachers Association-NCR. DepEd worries about sudden transfers of teachers from private to public schools. "Private schools are considered partners, they are our partners in the delivery of quality basic education," said Education Undersecretary Tonisito Umali. The DepEd is presently in the hiring process.